A FICTION TEMPLATE material on website including full text novels (fantasy, SF and military SF), short stories (horror, fantasy and SF), writing advice, autobiographical material and blog entries on eg Islam. Site also includes full text of medical memoir CANCER PATIENT. This website by professional author Hugh Cook, aka Hugh Walter Gilbert Cook, author of the CHRONICLES OF AN AGE OF DARKNESS etc. Site also includes poetry and flash fiction. 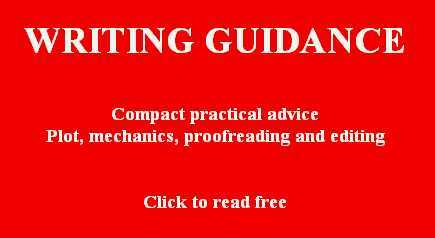 This site features A FICTION TEMPLATE material about the art of writing: plotting, getting characters to act, proofreading and editing. Concise how-to-write advice by an expert. Read free online. This section on A FICTION TEMPLATE is incorporated in the literary miscellany THIS IS A PICTURE OF YOUR GOD: A HUGH COOK READER. Yep, there's a recipe, a formula, a step-by-step method for putting together a plot. Note that the first point is the key point. If you blow it here then you blow it. There are a million and one stories in the naked city, but every single one of those stories requires something to happen, and it had better happen up front. Now. Right away. Otherwise it's not a story, it's just a chunk of polished writing, silver and gold, okay, but a plot is war, death and turbulence, or love, wine and acid indigestion. Not a museum display. If you're in "please admire my style" mode then you're on the wrong trip. We're dealing with the big bad animals, the human beings, and the focus should be on the action. Points are numbered. Take them step by step. Step one starts on page one. 1. We start with desire. Everything changes. Or, alternatively, something changes. And the consequence is that a protagonist desires to do something. The size of the change is not significant. What is required is for something to change, something which throws the world out of kilter and requires action on the part of the protagonist. Everything changes when a big airplane flies into a big building and then another airplane flies into another big building and then, the author a little short on imagination, a third airplane flies into a third big building. The protagonist, the hero of the piece, a guy called George W., responds heroically to the emergency by listening, at length, to a story being read by kids at school, then jumps on an airplane and scuttles away to an undisclosed destination, after which he invades Iraq, a country which had nothing to do with the airplanes, gets a bunch of people killed for no reason, then, in 2006, in a charitable gesture, kicks in hundreds of millions of dollars for the Iraqi prison system, demonstrating American genius at work, the simple lock everyone up and throw away the key solution. A bit messy, this plot. You need airplanes, or you need some kind of airplane equivalent. A book called THE WIND IN THE WILLOWS. The mole is destabilized by desire. It is spring, and the mole, who has been living underground through the winter, is conscious of the sap rising, of new life forcing its way into the sunlight, and he wants to be part of the world of spring, and so, motivated by this desire, he is up out of his hole and into the big wide world, and all manner of adventures follow. Destabilizing events come in many forms, one being big aeroplanes and another being small aeroplanes. One simple destabilizer is desire. If in doubt, if big aeroplanes smashing into tall buildings are not your style, look to desire for a destabilizer. It does not really matter what the destabilizer is, as long as the protagonist desires something. Make a list of motivators, of things that create desire. If in doubt, sit down with that stack of glossy magazines that are lying round the house and see what the motivators are. Travel ads, beer ads, car ads, stereo ads, home loans, medical insurance, specific kinds of insurance tailored for particular fears and phobias, investment opportunities (some wiser than others) ... what is being sold and what kind of animal is being catered for? Fear, hunger, thirst, jealousy, loneliness, boredom, anxiety, love, ambition, status drive, sense of duty, family ambition. Weirdest thing I heard in my life was some kid in New Zealand studying at university in a society which has a pretty flat hierarchy, and he was the scion of some kind of hereditary aristocratic family, and he took this EXTREMELY seriously, believing that it was his hereditary destiny to set an example for other people in society by being manifestly better than other people. Because he was, apparently, totally sincere in this ambition, it was a very heavy burden for him, something that was driving his life. Point: everyone believe in something. Belief structures are very strong motivators. Religion, obviously. (Big planes, tall buildings.) Education: I need that PhD. Politics (choose your poison). The central protagonist in Shakespeare's play conceives the ambition to become king. Which, necessarily, there being a king already, is going to involve killing the king. They fall in love, but their families are at odds with each other. Point is that they are motivated: love. Old man, failing and falling into folly, and he wants to know which daughter loves him best, and he wants to know now. And misconstrues the reaction that he gets, with catastrophic consequences. Something destabilizes reality, with the consequence that a protagonist desires to do something. The destabilization may be extrinsic (the police come and arrest you) or intrinsic (you make a decision to go rob a bank). Maybe everything changes or maybe something changes. If nothing changes on page one then rip it up and start again. Start with the change, with the destabilizing factor. Start with the production of desire. 2. Set a clock rolling. A story can be defined as action taking place in the context of some kind of constraint. If there is no constraint, if the characters are infinitely resourced, omnicompetent, omnipotent, effortlessly equal to the situation, then there is no story. How does the difficulty play out? If there is no difficulty, there is no story. Difficulty comes in various forms, and one simple form of difficulty is a shortage. You are in a lifeboat at sea and you are running out of water. Your water shortage is the obvious difficulty. One of your guests has canceled so you face the prospect of having thirteen at dinner. You do not like this. You need a fourteenth: an extra guest to cancel the unlucky number. You have an excellent shot at a property deal but you have a shortfall in funds. You need to beg, borrow or steal the missing money to make up the shortfall. You have been shot and you are bleeding. Blood is your shortage problem. You need to get to hospital fast. There are many forms of difficulty which can be used to engineer a plot and a time shortage is not compulsory. Some other kind of difficulty can be substituted. That said, given that we are all subject to time pressure, setting a clock of some kind running is a good way to provide a time dynamic. So far, in step one, we motivate a character to do something. Motivation may be extrinsic (big airplanes fly into tall buildings) or intrinsic (spring comes, and the Mole feels the discontents of spring, and wants to get out int the world. So a character is motivated, by external action or internal desire, to do something. We then, in step two, confront the character with a difficulty of some kind, with an obstacle. An obstacle, a difficulty, a problem, can come in many forms. If in doubt, go for a clock, because a time problem can be as simple or as complicated as you like. You have to be at the airport at 2 p.m. to catch the flight. The time limit is set and the plot plays out within this timeframe. You either get to the airport on time or you do not. That's the keep it simple version. You get a phone call from the boss saying that your major client, the one who must be satisfied, has unreasonably rescheduled, and you have suddenly been rescheduled for a flight at ten in the morning. You were planning to drop your two kids off with the babysitter at eleven in the morning so you could head to the airport in good time. And these are the notorious kids from hell, who only the one babysitter will have, and she, when you phone, has an appointment this morning at the dentist to have a crown done, and cannot take the kids before eleven. A simple method of complicating any clock, then, is to unexpectedly cut the amount of available time. Briefly, then, the protagonist is motivated to achieve a result and confronts some kind of problem in doing so. The protagonist attempts a solution and the solution fails. Ideally, the stakes get bigger at this point. 4. The character tries harder and fails. Ideally, once again, the stakes get bigger. 5. The protagonist makes the greatest effort possible and the result is some kind of perversion of expectations, otherwise known as a twist. Ideally, the twist is logical but unexpected. Optimally, this is the crisis at which everything is at stake. The high point of the drama. 6. There is a denouement of some kind, basically a tragic ending in which the outcome is failure, or a comic outcome in which the result is success. Take your pick. And that is it, really. Six steps to make a plot. Some kind of disturbance in reality which motivates a character to do something. A difficulty which must be overcome. Three shots at solving the problem, ideally ending with some kind of twist which is logical and yet not predicted by the reader, and then a denouement. There is no special magic in the "three shots" and three can just as easily be thirty if you want to write a saga. The longest novel I ever wrote was THE WITCHLORD AND THE WEAPONMASTER, the tale of the barbarian horselord Guest Gulkan, whose ambition was to make himself the master of his father's empire, and I have no idea how many problems he confronted, and how many times he experienced failure. However, given that the novel runs to about 250,000 words and over 700 pages, the number of problems confronted was many times more than three. That said, a six-step plot is fine as a starting point. What is going to motivate the reader to read? Answer: the promise of some kind of story. The initial motivating factor, extrinsic or intrinsic, constitutes a promise to the reader. This is the basic promise which the writer should make, either implicitly or explicitly, up front, and should deliver on. Maybe six steps looks too simple. There is nothing wrong with starting simple. If you want complications, the easiest way is to have two characters at odds. The protagonist has been told to catch a flight at ten in the morning but his wife, who is going to her sister's wedding this morning, says, the hell with it, quit this job as you have been promising to, or I'm going to be demanding a divorce. A simple way to think about complications involving other people is to make a list of the protagonist's significant others, for example boss, coworker, agent, spouse, child, sibling, parent, grandparent, grandchild, teacher, guru, local cop, bank manager, neighbor or whatever. Things do not work out as planned. At Christmas time I saw a cartoon in the newspaper. Santa has harnessed his sleigh to a rat, and, though the rat is doing its best, the sleigh is plainly going nowhere. Santa's thought bubble says "It worked on paper ..."
This is the standard perversion of expectations. It worked just fine on paper, but reality is a different thing again. In Shakespeare's MACBETH, the protagonist, Macbeth, receives a prophecy which tells him things will work out okay unless the woods come marching to his castle walls. Since this is obviously impossible  trees do not march on castles  he thinks he is safe. However, his enemies cut tree branches and carry them to camouflage their numbers, so the woods do march on the castle. Additionally, it has been indicated to Macbeth that no man born of woman will kill him, which he thinks is a kind of double insurance. Then he finds himself against a man who, to be technical, was not exactly born in the normal way, but was delivered by cesarean section. Yes, there is a man on hand who was not born of woman, and who is going to kill him. This is perversion of expectations in action. Additionally, in MACBETH, the tough guy of the story, Lady Macbeth, the one who has been encouraging her husband to murder to win power, unexpectedly disintegrates psychologically and ends up committing suicide, which is not illogical but which is, at the same time, unexpected. MACBETH is a play about a guy called Macbeth who gets given a roadmap to the future, and follows it, only to find that the map has misled him. In KING LEAR, Lear is betrayed by the daughters he thought he could trust. That's very simple. He expected X and he got Y. Where is the crisis? Although the crisis is at or near the end, ideally the plot will start rolling shortly before the crisis, not years in advance of it. Are we telling the story or just getting ready to tell the story? If at the outset we're spending too much time training the protagonist, educating the protagonist, briefing the protagonist, putting the protagonist in the picture, then maybe we're preparing to tell the story rather than actually telling it. Maybe we can start with the protagonist already in the picture, briefed, trained, equipped, financed and ready to get going. We start with a protagonist who wants to do something, and all else follows from that desire. In a Jane Austen novel, for example, a female protagonist might typically want to get married, and the action of the novel flows from this motivation. No aeroplanes required. To finish up with, to hammer home the desire issue, below is the text of a short story, EVANS EATS GARLIC. Evans is motivated by desire: he wants to eat garlic. At a certain point, his motivation changes. Now he does NOT want to eat garlic. You can have too much of a good thing. Evans thinks he has licked the garlic problem. But. A perversion of expectations kicks in. The reason I chose this story is to emphasize the key point, which is point number one, which is that the protagonist must be motivated to do something. To desire. The desire is a promise to the reader: I am going to tell a story. "It would be really nice to eat garlic," mused Evans. "Morale food," said the boss, greeting Evans as he walked in the door. And there it was, a big pizza heavy with garlic. Just the way Evans liked it. "Garlic sausages for dinner," said his wife, when he got home that evening. Maybe you could have too much of a good thing, but Evans ate greedily. He woke in the morning feeling like a very simple breakfast, cornflakes and milk, but the doorbell rang, bing-bong, and there was a TV crew outside, complete with smiles and cameras. They were from Hoi Polloi Television, happy to advise him that he had won the Hot Garlic Breakfast Competition, which he didn't remember having entered. One garlic breakfast later, Evans was on his way to work. Today's mission? To break the garlic cycle. Garlic is good, up to a point, but things were getting seriously out of hand. At work, Evans pleaded an upset stomach, turned down all food offers, and slipped out at lunchtime for a simple green salad. At least, that was what it ordered, but it came complete with not entirely unexpected slices of raw garlic. "I'm sorry, honey," said Evans to his wife, later that day. "I'm going to be home late. I have to work at the office." The "have to" was a lie, but he did work, diligently, until it was time to get on the last train home. "Done it," said Evans, leaning back in his seat, trying to ignore the oppressively fat straphanger who was leaning over him. Evans yawned, hugely. And that was when the fat straphanger barfed, unleashing an avalanche of smooth stuff mixed with chunky stuff. A generous helping splashed right into Evans's mouth, and, as he spat it out, he could not help but register the truth.